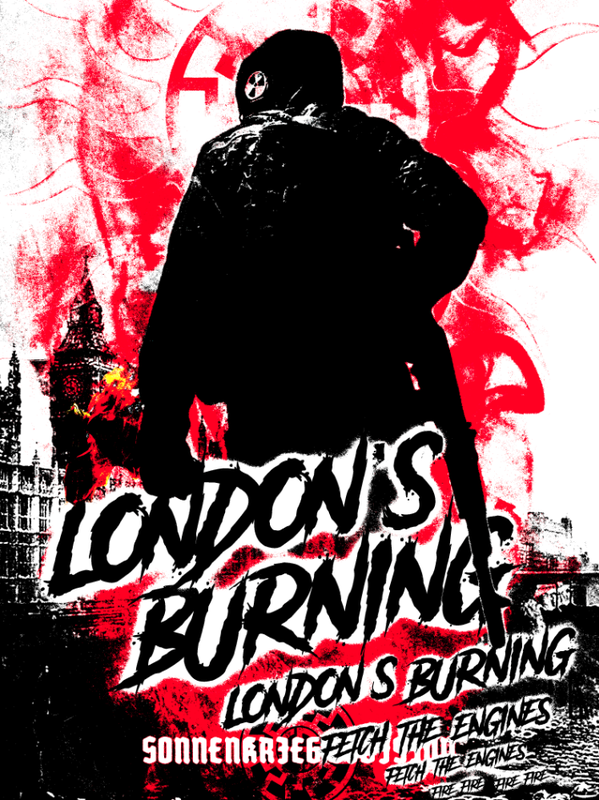 Over a month after the arrest of several members of Sonnenkrieg Division (SKD) — a British neo-Nazi organization — several new SKD propaganda images have been shared on Fascist Forge, a growing terroristic forum that bills itself as the new Iron March. 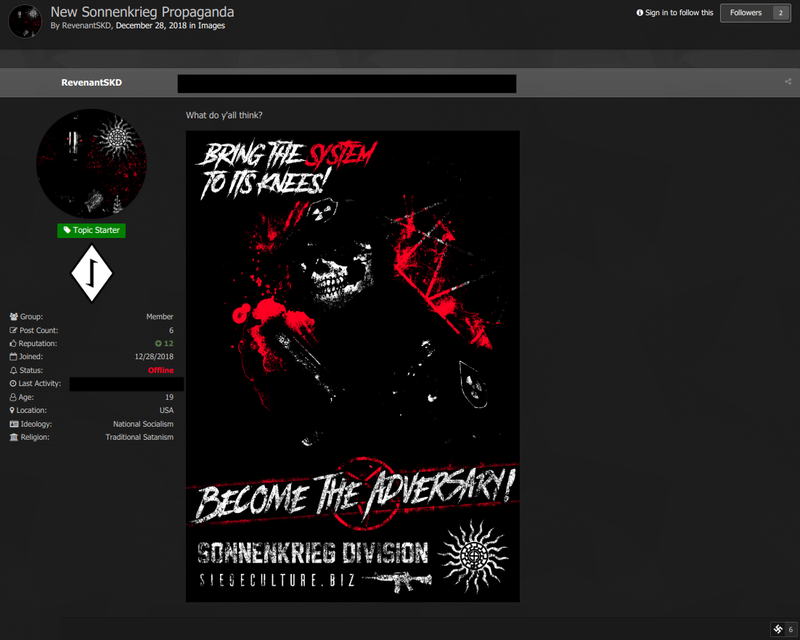 On December 28, RevenantSKD created a discussion thread on Fascist Forge titled “New Sonnenkrieg Propaganda” and uploaded the first of two pro-SKD images they purportedly created. 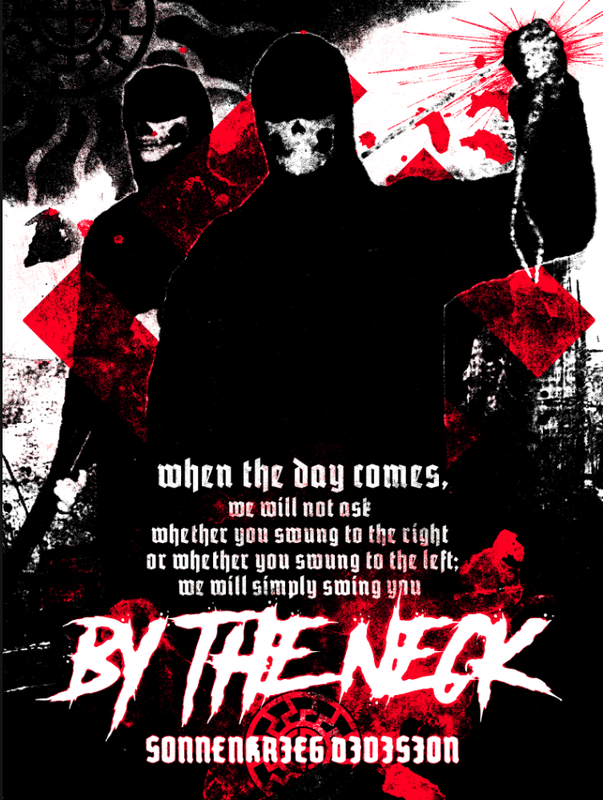 Bring the system to its knees! 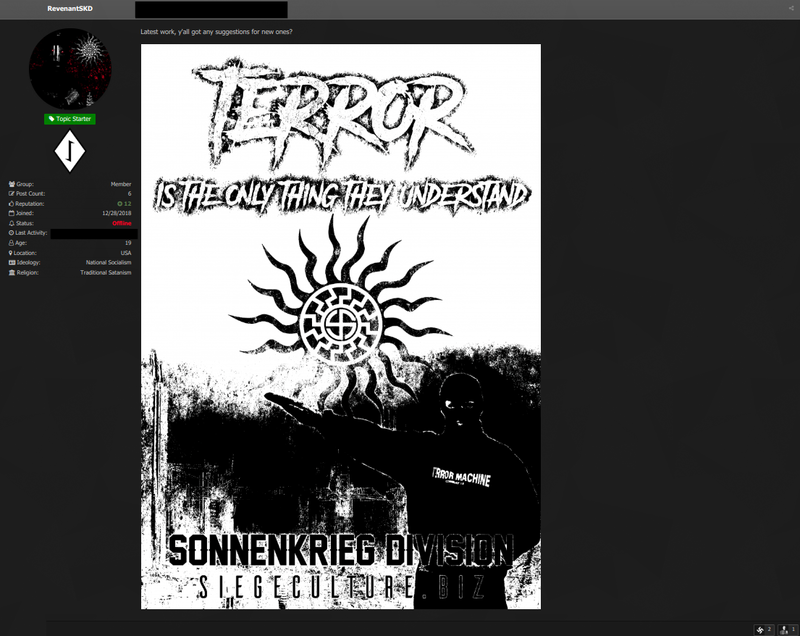 Note the Atomwaffen Division references on the head and side of the masked figure. 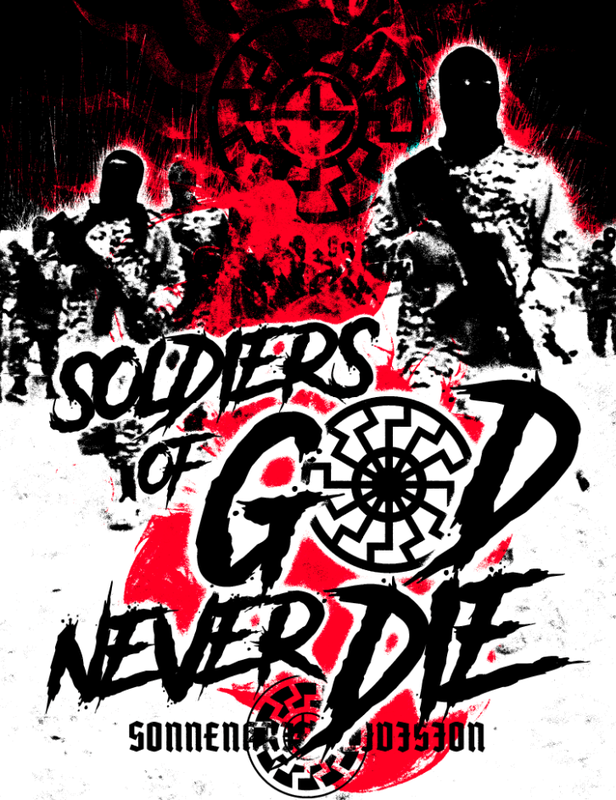 Of all the SKD propaganda recently shared on Fascist Forge, Images 1 and 2 are the only ones that refer to the Siege Culture website (SiegeCulture.biz). 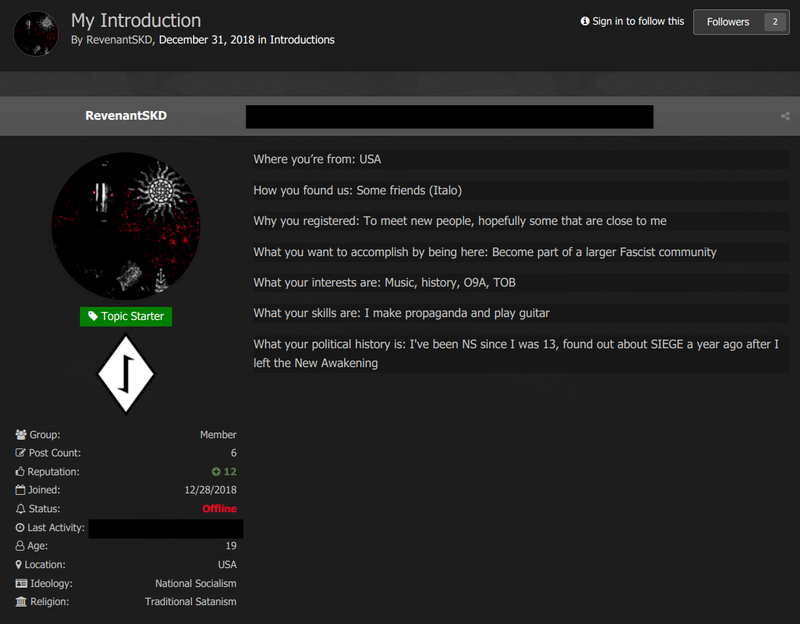 Here is a screenshot of their introduction, though I would take some of what they have written with a grain of salt. 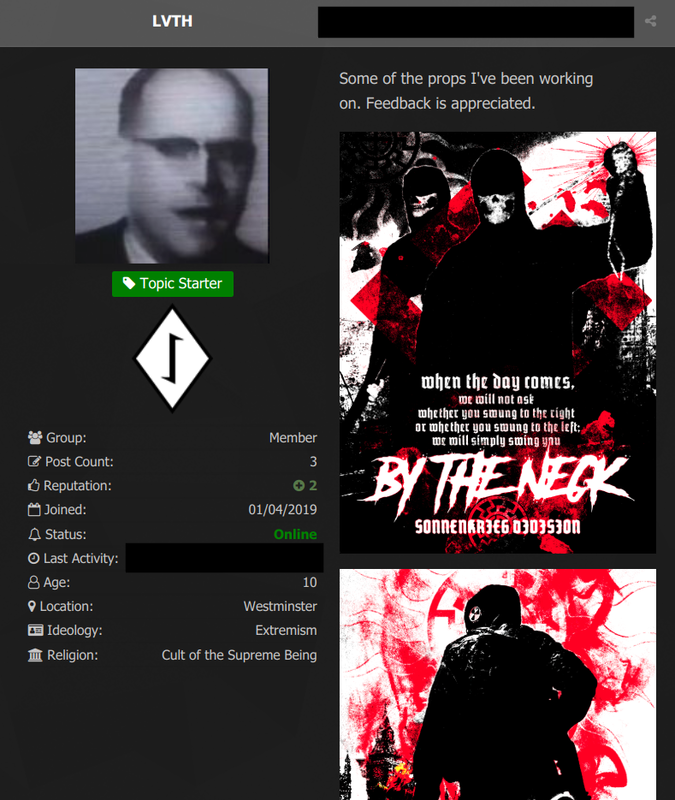 On January 9, three more propaganda images were uploaded by a user named LVTH. Note the radiation warning symbol on the figure’s head.